Russetsky and Bramblefrost bolted up to Rainpaw. Her body was covered in blood, and Skypaw prayed that all of it wasn&apos;t hers. Skypaw found her paws following her parents. Although Rainpaw&apos;s broken body wasn&apos;t something Skypaw wanted to see, she felt it was proper that she go grieve with her family. Skypaw instantly regretted her decision. Rainpaw&apos;s eyes were closed, her ears pinned to the back of her head. One was even torn. Her flank was filled with numerous deep gashes, and her normally pretty silver tabby fur was matted and a crimson color from blood. Russetsky wailed. Bramblefrost turned to look at Sunstar, waiting for an order. Disgust layered his face when he noticed Sunstar wasn&apos;t even paying attention to the fallen apprentice, he was grooming his own fur. Skypaw looked a bit closer. Her nose wrinkled, reflecting her father&apos;s disgust as she noticed Sunstar only had a few scratches on him, and they weren&apos;t even deep. Surely the warrior code didn&apos;t allow this? Skypaw&apos;s eyes moved along the rest of the patrol, who were paying attention and were horror-struck. Stormpelt had a look of undoubted grief, and Skypaw remembered that Stormpelt was the father of Bramblefrost. Her grandfather was grieving for his granddaughter that could be on her way to StarClan. "We need Willowleaf!" Russetsky wailed once more. Stormpelt, Petalheart, and Skypaw were on their paws within seconds, racing through the forest in the direction of camp. Skypaw was watching the forest floor for brambles, something she still needed to look out for. When she glanced ahead, she noticed Petalheart&apos;s white pelt was crimson as well. When she glanced back, Skypaw tried not to shiver at the horrid sight it was. Her bloodstained pelt clashed with her reddish eyes. Stormpelt&apos;s shoulder had a deep gash, but nothing more looked to serious. Stormpelt wasn&apos;t elderly quite yet, but he certainly wasn&apos;t young. As the ThunderClan rescue patrol ducked into camp, they were greeted with gasps. Skypaw felt multiple eyes of her Clanmates burning into her pelt, taking in her injuries. "What&apos;s happening?" Flarecloud had been pacing around camp, racing to greet the bloody warriors. Skypaw remembered Sunstar had left Flarecloud and Flowermoon as guards. "The badgers are gone, but Rainpaw is severely injured," Petalheart summarized as Stormpelt ducked into the split rock, looking for the pretty familiar tortiseshell pelt of the ThunderClan medicine cat. "Anyone else injured?" Flowermoon was by Flarecloud&apos;s side a few moments later. "Not sure, we didn&apos;t look," Petalheart stared at her paws at how horrible that sounded. "What?" Flarecloud and Flowermoon said in unison. "I know," Petalheart sighed. "I don&apos;t know why exactly, that&apos;s usually the first thing we do." Petalheart replied, flattening her ears. Skypaw&apos;s memory took her back to the look of disgust on her father&apos;s face as he stared at the ThunderClan leader. "It&apos;s because Sunstar wasn&apos;t paying attention to anything but himself!" Skypaw snapped. Her father&apos;s disapproval layered with her own, plus her sister&apos;s near death fueled the hostility in her. Petalheart, Flarecloud, and Flowermoon both snapped their heads to look at Skypaw, surprised at her words. "What do you mean?" Flowermoon questioned, turning her head to the side in confusion. "Bramblefrost was glaring at him when he saw he was only grooming his own fur instead of caring after the Clan first," Skypaw admitted, now staring at her own paws. How could she tell off warriors, when she wasn&apos;t even half of one? "That&apos;s not right," Flarecloud meowed. "I&apos;ll have a talk with him." "Be careful," Skypaw hadn&apos;t even noticed the scrawny body of Mousetail appear. "Sunstar isn&apos;t always the..." The brown warrior trailed off. Skypaw knew he was having trouble looking for words. "easiest cat to talk to." Before any of the warriors could question Mousetail, he bounded off. Skypaw watched him duck into the warriors den, a place forbidden for her to go as an apprentice, so she turned her attention back to the older she-cats she was talking to. However, Skypaw couldn&apos;t help but feel triumph that she wasn&apos;t the only cat who had an awkward feeling about Sunstar. As much as she wanted to believe it, maybe he wasn&apos;t the powerful leader ThunderClan willed him to be. Petalheart had sat down just as Sunstar and the rest of the patrol padded into camp. The sickening feeling Skypaw had about the ThunderClan leader worsened as the ginger tom, shining bright like fire, emerged proudly into camp with a patrol of bloody, matted-furred cats that followed. Sunstar leaped onto the Highrock. "Cats of ThunderClan!" His deep call rattled the camp. Skypaw decided to just sit down where she was. She wanted to go sit down next to Willowleaf and Appleleaf once more, but she knew there was no time to move. This was a serious issue. Glancing at the medicine den, where her family had disappeared into, she noticed Russetsky and Bramblefrost sat at the entrance. Willowleaf did not join them, and Russetsky did not sit under the Highrock in the deputy&apos;s seat that she had yet to use. Shadepaw ducked out of the elders&apos; den with Appleleaf following, but he stayed behind and sat at the entrance to his own den while Shadepaw sat down, alone. Skypaw&apos;s heart ached as she saw the fear and confusion plastered on her sister&apos;s face at the absence of Rainpaw. "As you know, we met the patrol of badgers in the forest," Sunstar reported. "We were able to stop and defeat them before they reached camp." The ThunderClan leader halted his speech and let the cries and meows of victory echo through the camp before continuing. "Camp remains intact with only one cat seriously injured,"
"Who?" Appleleaf&apos;s voice asked. Sunstar&apos;s eyes landed on him. Skypaw shivered at the thought of her friend being penetrated by his eerie stare. Glancing back at the ThunderClan elder, she was surprised and relieved when Appleleaf seemed unnerved. "Rainpaw?" Sunstar replied, moving his gaze to Russetsky. When Russetsky nodded her head, he confirmed himself. "Yes, Rainpaw." 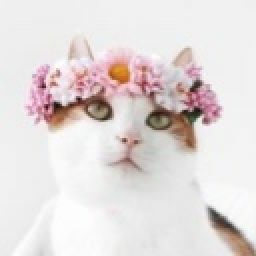 Skypaw and multiple other cats including Russetsky, Bramblefrost, Petalheart, Hazelflower and Flarecloud&apos;s expressions turned to pure disapproval and disgust. How could the leader of all cats not be certain on a dying cat? He was lucky he guessed correctly, Skypaw thought. Meanwhile, Appleleaf&apos;s face shone with relief and Shadepaw&apos;s was blinded by terror. 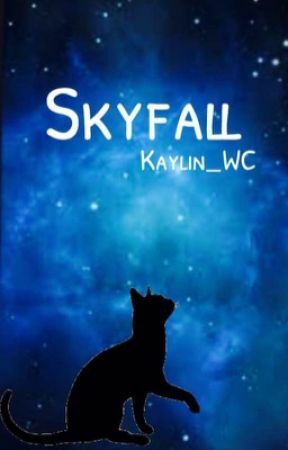 "As long as it wasn&apos;t Skypaw," Appleleaf meowed, mostly to himself. However, a few cats still heard it. Their gazes moved to Skypaw, confused, and she, reluctantly, turned her eyes to her leader. "We are ThunderClan, and we are strong!" Sunstar&apos;s yowl was so loud that Skypaw was sure that RiverClan had heard it. Leaves from Sunstar&apos;s enormous yowl of victory fell form the trees, disturbed. Skypaw&apos;s eyes found one as it drifted down slowly and landed perfectly on Sunstar&apos;s head. She found her eyes unable to tear away from it. Suddenly, a glow appeared, surrounding the mysterious leaf, blocking Skypaw&apos;s vision from anything else but the beautiful, fallen leaf. Anyways, please vote, comment, and tell your friends! And thank you for all the players who have been telling me about the griefs. I appreciate it a lot, and who knows, maybe some of the repairers could maybe become staff one day?